Please come out to the Black Fox Lounge for “First Saturday” in May (the 3rd) as guitarist Geoff Reecer joins the band for a special night of swinging jazz. 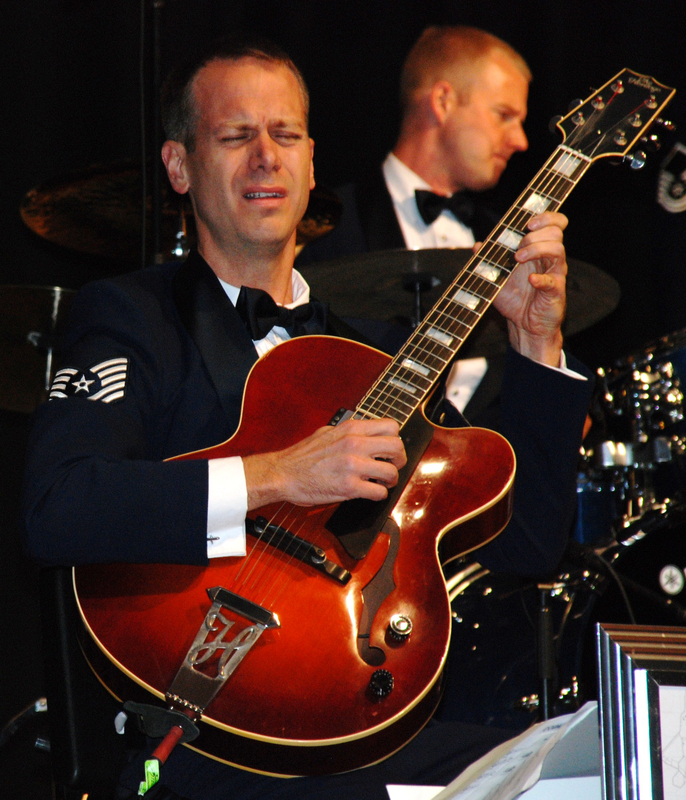 Geoff can be seen all around town, including playing with the renowned U.S. Air Force “Airmen of Note” big band. Rounding out the band are excellent musicians Dave Kane on keys and Ed Hrybyk on bass. This entry was posted in Uncategorized and tagged Allyn Johnson, Black Fox Lounge, Ed Hrybyk, First Saturdays, Geoff Reecer. Bookmark the permalink.